The new EU executive may for the first time have Commissioners appointed by nationalists, who will be influenced by Russia. Therefore, a solution for the simmering tensions in Bosnia and Herzegovina should be found before the EU elections in May, to avoid wider risks for the Balkans, a senior diplomat said. “After the elections, for the first time, we could have Commissioners sent by nationalists, populists, the far right. They will not be the strongest, but influential. 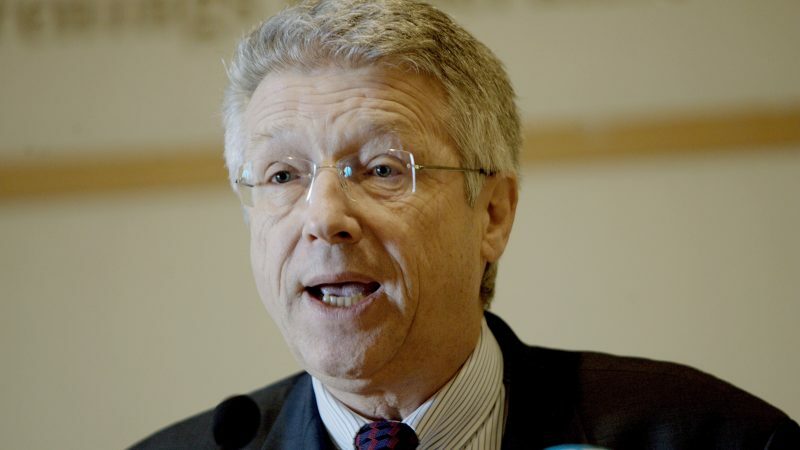 We will be able to see enemies of European integration at work inside the system,” Wolfgang Petritsch, the former High Representative of the International Community in Bosnia and Herzegovina (BiH), told the Sarajevo daily Dnevni Avaz. Petritsch said such a Commission would aim for a weaker EU. “And it could become the scene of conflict between the weak EU approach and the radically different approach of the new Commission, where there will be a much stronger influence from Russia,” he added. Referring to Bosnia and Herzegovina, which is still not an official candidate for EU or NATO membership, he said it was a symbol of the tragedy of the last century but also a symbol of a better future for the Balkans in the EU. “That is why it is the backbone of any solution to the Balkan issues. I am constantly talking about it in Brussels, in the capitals of the Union. Now is time to solve those problems. And it needs to be done before a new European Commission is elected,” the veteran Austrian diplomat said. BiH declared independence from Yugoslavia in 1992 but was then mired in a bloody three-year war among its Serbs, Croats and Muslims (Bosniaks). The war came to an end with the 1995 Dayton peace accord, which divided the country into two largely autonomous entities – the Bosnian Serb Republic and the Muslim-Croat federation – with a weak central government and under international oversight. According to Petritsch, the Balkan region has once again become the centre of global power struggles. “I do not think we will have a war but rather a choice: implementation of a Russian-China-Turkish model of authoritarian governments (which populists prefer) or a successful European model of liberal democracy,” he said. “The EU, weakened by the recession and its inability to reform from the inside, will be hit by the powerful populist and extreme right-wingers, whose influence is growing,” the diplomat added. For Petritsch, a solution could be to bring together all parties who signed Dayton, including Serbia and Croatia, who “have so far only looked at their benefits and never considered BiH as a state”. “If you have the signatures of Serbian President Aleksandar Vučić, Russian President Vladimir Putin, the Americans … that would be a big deal. I know it sounds ambitious, but there is no other solution. And NATO needs to be a guarantor,” Petritsch stated. Milorad Dodik, the current chair of Bosnia’s three-member presidency, has built good relations with Heinz-Christian Strache from the Freedom Party of Austria, a conservative party affiliated with nationalist Europe of Nations and Freedom group in the European Parliament. Dodik, who is openly pro-Russian, is also trying to build good relations with Steve Bannon, a former adviser to US President Donald Trump. 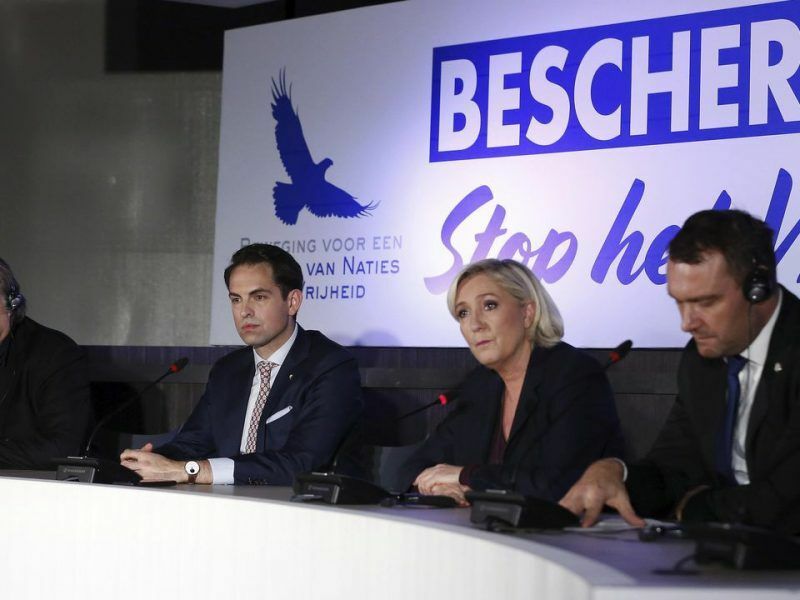 Bannon has been trying to gather populist forces across Europe for several months, including Matteo Salvini’s Lega in Italy, Geert Wilders PVV in the Netherlands, the National Rally of Marine Le Pen in France, and in Belgium, the separatist Vlaams Belang. This month, he also announced cooperation with Poland’s ruling party, the anti-immigrant PiS led by Jaroslaw Kaczynski. On 4 February, Nebojsa Medojević, leader of the Movement for Change in Montenegro (ECR), announced that his party had joined the Bannon Movement. Medojević, who enjoys the full support of the Kremlin, is working on Montenegro’s exit from NATO and return to a state alliance with Serbia, from which it split after an independence referendum in 2006. Dodik draws much of his political power in the Serb Republic from good relations with Putin, who received Dodik just before the elections in BiH in October last year, probably helping his SNSD party score an overwhelming victory. On the other hand, the leaders of the Croatian Democratic Union (HDZ BiH) of Bosnia-Herzegovina (sister party of the ruling HDZ in Croatia) has made an unofficial alliance with Dodik aiming to curb the influence of the majority Bosniaks. Dragan Čović, president of the HDZ BiH, who advocates the Euro-Atlantic path of BiH, has also built good relations with Russia, with Dodik’s help. HDZ BiH has good relations with Hungarian Prime Minister Viktor Orbán, who also enjoys the full support of the Croatian HDZ – its MEPs voted against the Article 7 procedure against Hungary in the European Parliament last September. 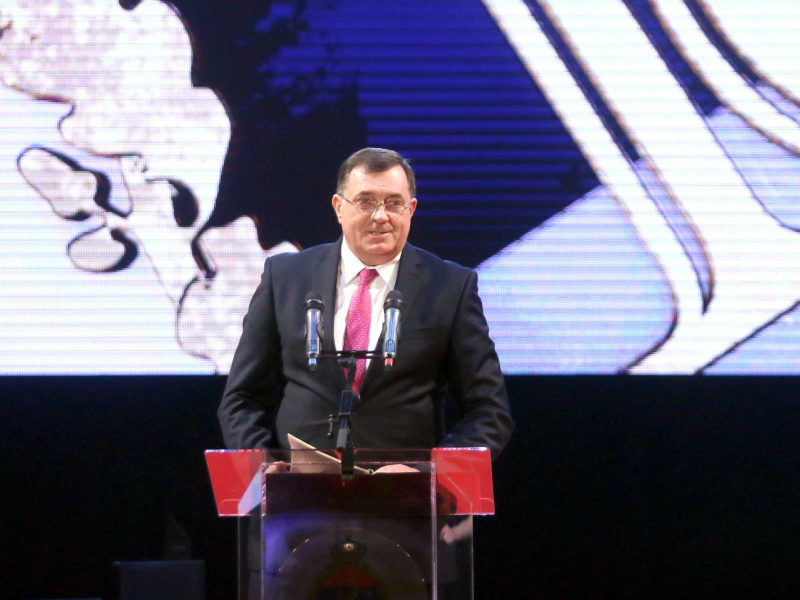 Dodik openly advocates the secession of the Serb Republic and its merger with Serbia. The leader of Bosnia’s Serbs said Tuesday that they were moving towards the “highest possible” level of independence, which he said was a legitimate political goal in a country deeply divided since its 1990s war. Čović wants the Croats to become the third entity in Bosnia, rather than share the Federation with the majority Bosniaks, which Western diplomats consider to be a temporary stage in the process of joining Croatia. Russia is currently opposed to such a development because it prefers having a rebellious Serb Republic and dissatisfied Croats, both of which it can use at any time to destabilise BiH and create turmoil in the entire Balkans. Russian meddling is a rather small problem. American meddling is a much bigger problem. Unfortunately the EU has quite a large number of politicians who will do whatever the US ambassador asks from them. The most recent example is Venezuela where EU politicians aim to create a climate where US intervention and boycotts are acceptable – despite them being in violation of international law and the desires of the great majority of the Venezuelans.